CAN WE PLAY IT? YES WE CAN! 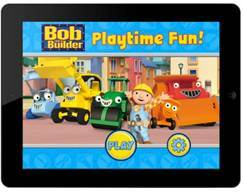 HIT Entertainment, one of the world’s leading providers of high-quality children’s entertainment, and P2 Games have announced the launch ofBob the Builder®’s Playtime Fun for the iPad®, iPhone®, and iPod Touch®, available in Apple’s App store this week. This first game app for Bob the Builder offers preschoolers interactive early learning fun across a varied range of easy-to-play games and activities. Bob the Builder’s Playtime Fun offers young builders six exciting new games with Bob and the machine team that play on the brand’s message of positive thinking, problem solving and teamwork. Throughout the app, Bob the Builder encourages kids as they navigate each game. The app also showcases a bonus sticker book where players collect virtual stickers of their favorite members of the Can-Do Crew throughout each game. Playtime Fun is created with colorful artwork from Bob the Builder’s vibrant CGI world and features favorite characters including Muck, Scoop, Dizzy, and Bob himself. Games include “Clean the Can Do Crew” where children help Bob wash and hose down his muddy crew; and “Mix and Paint” where kids can mix paints together to create their own unique colors. The app also includes match, puzzles, and memory games. “Bob the Builder is such a great role model for pre-school children and has inspired so many creative experiences for kids. We are delighted to welcome Bob the Builder and the Can Do Crew to the P2 Games portfolio” said Gerry Whiteside, Director P2 Games Limited. Bob the Builder was created in the UK in 1998 and made its US television debut in 2001. 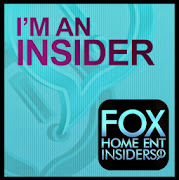 The show currently airs in over 240 territories and in 45 languages. It can be seen daily in the US on PBS KIDS® and Sprout® and in the UK on BBC2, CBeebies and Nick Jr. Episodes are also available for download through iTunes. For more information about Bob the Builder, and the Can-Do Crew please visit www.bobthebuilder.com. The Bob the Builder: Playtime Fun app is available for $2.99 USD/£1.99 GBP on iPad, iPhone, and iPod Touch at www.itunes.com/appstore/.